In this construction article i will teach you the different types of cement and their uses in construction works. Because for different construction works we used different type of cement, therefore its depend on the construion works. 1:RAPID HARDENING CEMENT : this kind of cement is same like ordinary Portland cement (OPC). this kind of cement strength age is 3 days equal to same like 7 days and we use the same water cement ratio for (OPC) and (RHC) cement . Used of this Cement: this cement is used in the Construction of road. because the road construction work is too much rapid from other construction. This cement Formwork can be remove early and it give us a lot of benefits . 2:SULFATE RESISTING CEMENT: this kind of cement is used to reduce the C3A and C4AF content. And this cement is a good result to resist to sulfate attack. Use of This Cement: this kind of Cement is used in the construction of foundation, where the subsoil contains is very high proportion of sulfate. 3:HYDROPHOBIC CEMENT: Hydrophobic cement is is manufactured by adding water appellant chemical with the ordinary Portland cement (OPD) during the process of Cement grinding. this cement is climate and unaffected when we bring these cement during rainfall . Use of this Cement : This kind of cement is used in the construction of water tanks , to construct the retaining wall structures, Construction of dams. This cement is usually used in the water structures. 4:PORTLAND BLAST FURNACE CEMENT: this types of cement is normal cement clinkers and mixed with up to 60% of the blast slag to complete the final grinding. Use of this Cement: this cement is used in the construction of bridge abutments , construction of dams, construction of retaining wall etc. 5:EXPANSIVE CEMENT: This types of cement is does not shrink after the time of Harding with the time is called expansive cement. Use of this cement : this kind of cement is used to construct the pre-stressed concrete ducts. 6:WHITE CEMENT: this kind of cement is a type of ordinary Portland cement (OPC) . But this is just colorful cement otherwise it has the same strength and composition like OPC cement,and its color is white. Use of this Cement : This cement is used to for external rendering of buildings , flooring , swimming pools etc. 7:COLOR CEMENT : This types of cement is product bye adding the 5- to 10% mineral pigments with the Portland cement during time of grinding. Use of this cement: when we want to obtain the color from cement and make any structure attractive than we use color cement. 8:WATERPROOF PORTLAND CEMENT: this type of cement is waterproof cement and its prepared bye the maxing of ordinary Portland cement or rapid hardening cement. and in this this types of cement there is a small percentage of some metal. 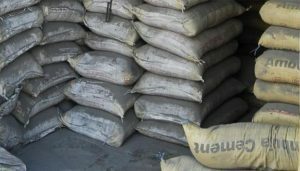 Use of this cement : This types of cement is used for the construction o f water tank, retaining walls, dams, Bridges , abutments of bridge, piers, water structures etc.